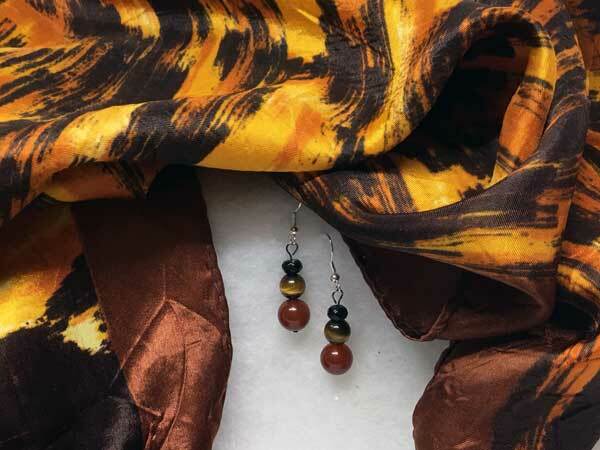 This vibrant scarf is loaded with bold color in yellow, gold, orange, dark brown and black. The border is a lovely red/brown and the piece measures 12" x 12". The earrings hang just over an inch from the finding loop. To coordinate beautifully with the scarf, I have used fully-faceted black rondelles, medium tigereye rounds and large carnelian rounds.